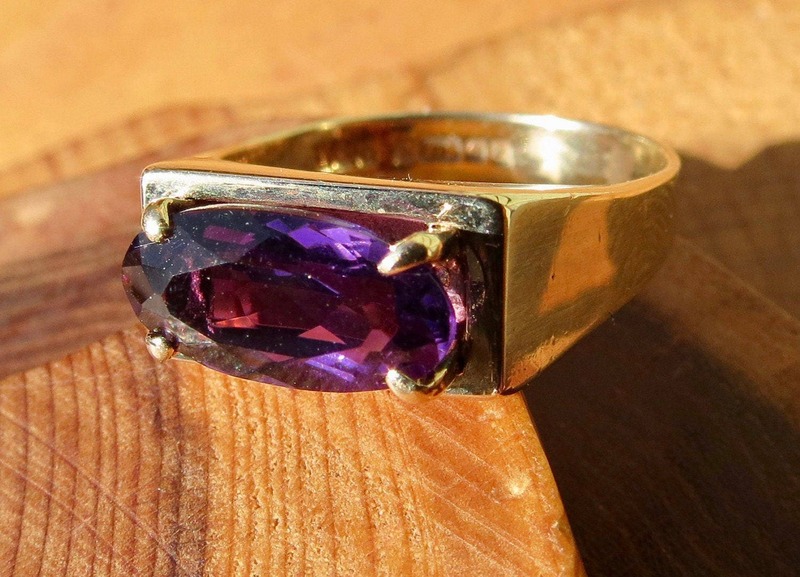 This vintage 9K yellow ring has a marquise cut amethyst measuring 1/2 inch. 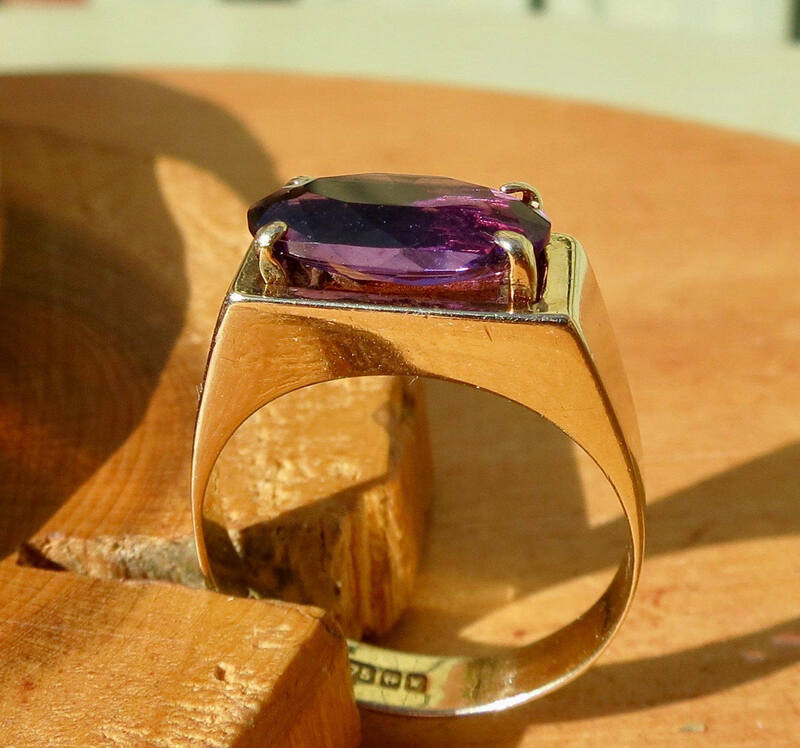 The ring has a claw setting with square shoulders leading to a square plain shank. 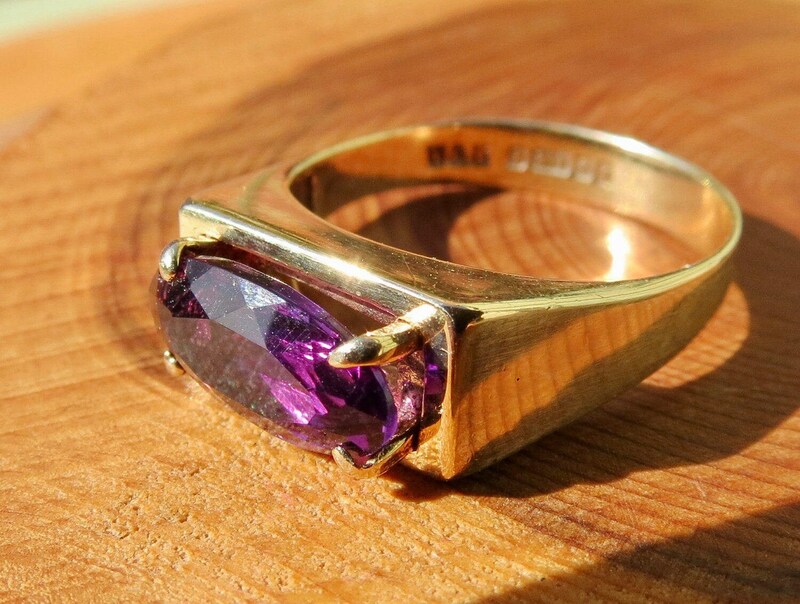 Full English Hallmarks and makers mark, Birmingham 1971. 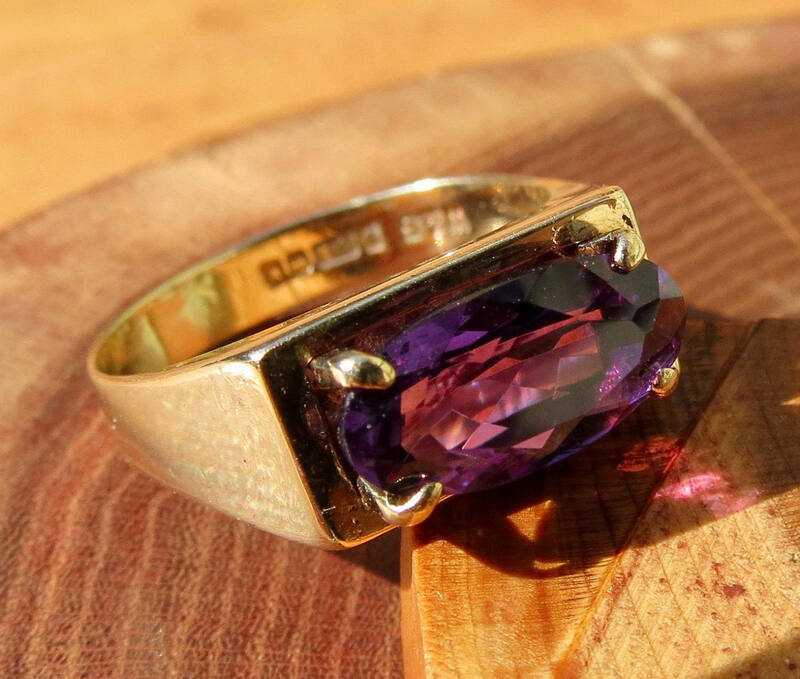 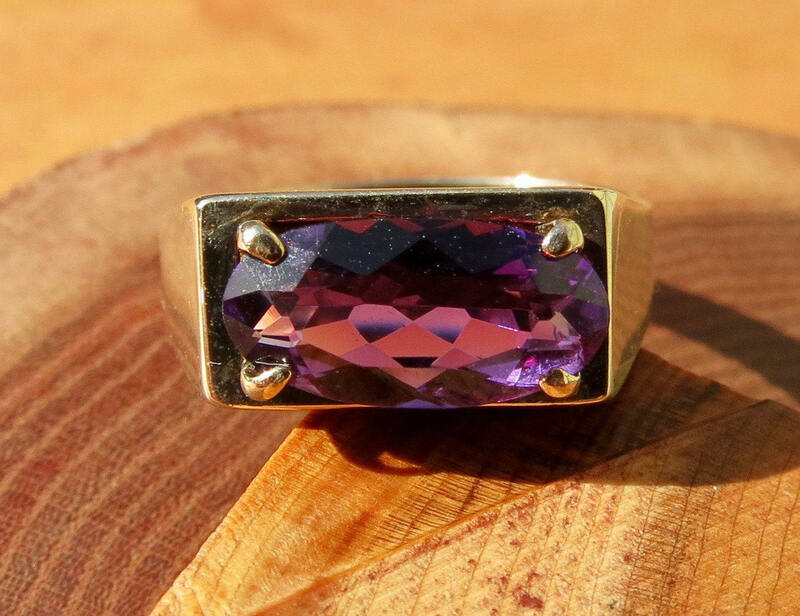 The amethyst in this ring is rich in colour, the condition of the stone can be described as very fine or mint.